Eisenbart & Sons has the knowledge and experience necessary to meet any door installation need. We are a family-owned and – operated business that has served over 100,000 customers in the Southern California area since 1982. We never hire subcontractors, and all projects are 100% Eisenbart & Sons quality guaranteed. You can choose from our large selection of doors from the top – rated brands, such as La Cantina Doors, AAW Doors Inc, BGW Doors, and T.M. Cobb. We can help you find the perfect door to compliment your home or business: our inventory includes interior doors, entry doors, patio doors, wardrobe doors, pet doors mounted into screens, and more. We offer a wide range of styles, including custom decorative glass entry doors, specialty wooden doors, French doors, Dutch doors, French sliding doors, folding system doors, pocket doors, sliding or swinging patio doors, and specialty wooden swinging doors. We also offer a variety of commercial door options, including storefront doors, security doors, screen doors, fire-rated doors, and bulletproof doors. Whatever your business's needs, we can help you choose the perfect product to create an attractive, functional, and secure entryway or doorway. We offer fast installations, with a guaranteed two to three week turnaround from order to installation; in fact, most installations only take one day. Parts and labor warranties vary from one year to a lifetime. A beautiful entry door is a great way to create a lasting first impression of your home or business. The best entry doors are stylish and elegant, while also providing maximum security.At Eisenbart & Sons, we carry a wide range of attractive, durable options, including custom decorative glass entry doors, security doors, energy-efficient doors, and much more. We can help you make the entrance to your home or business the safest and most beautiful in your neighborhood. Our entry doors can also save you money on your energy bills throughout the year. We offer a selection of well-insulated styles, and we perform expert installations. For more information about our high quality, competitively priced entry doors, or our expert, affordable installation services, call us today. With over 30 years of experience, Eisenbart & Sons is one of Southern California's most trusted names in interior door installation. We offer an extensive selection of interior doors, available in a range of designs to complement the decor and brighten the rooms of your home or business. Choose from our stylish, high quality collections of folding doors, swinging doors, sliding doors, pocket doors, French doors, bifold doors, and more. We even offer specialty wooden doors. All of our interior doors are custom-made to fit your frames, so we can install any door you choose with absolutely no damage to existing structures. Customer service is our top priority, and we guarantee your full satisfaction with our high quality interior doors and expert installation services. Our collection of patio and French doors includes a wide range of styles from the top brands; whatever you're looking for, you're sure to find the perfect look to complete both your interior decor and your patio or backyard. All of our choices are attractive and extremely durable, so you can maintain a sense of security at home without sacrificing style. 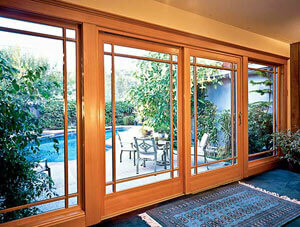 Our French doors and patio doors are also well-insulated, so they can help you cut down on your energy bills. Choose from French doors in a selection of different wood and glass options, sliding or swinging styles (inswing and outswing), single- or multiple-pane windows, and clear or frosted glass. 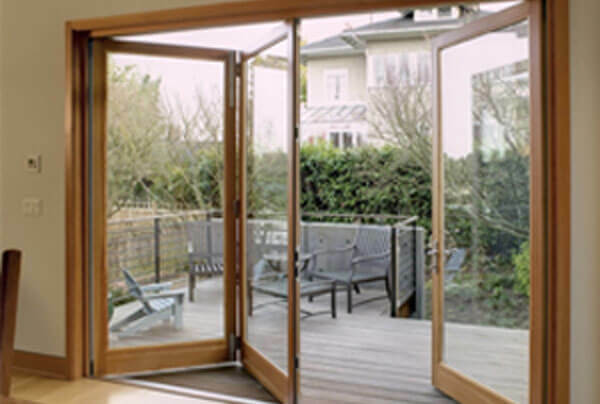 Our patio doors also come in a full range of material and style options, including steel, wood, and glass, French doors, bifold doors, sliding doors, and more. To view our inventory, or to learn more about all of our patio and French door options, call us today.